In a veiled reference to Pakistan, India has said safe havens in Afghanistan's neighbourhood have for years provided safety for the "dark agendas" of various terror outfits like the Taliban and the LeT. India also called for crippling the illicit drug trade which provides financial sustenance to these terror outfits. India's Permanent Representative to the UN Ambassador Syed Akbaruddin said at a Security Council debate on Afghanistan Monday that the Taliban, aided by their supporters, continue to pursue military operations perpetrating violence and destruction, like the recent attack in Ghazni, over several parts of Afghanistan. "These offensives are planned and launched by those who are harboured in safe havens in the neighbourhood of Afghanistan. These sanctuaries have, for years, provided safety for the dark agendas of ideologically and operationally-fused terror networks like the Taliban, Haqqani network, Daesh, Al-Qaeda and its proscribed affiliates such as the Lashkar-e-Taiba and Jaish-e-Mohammed," he said. Akbaruddin further said the agendas of these terror organisations draw financial sustenance not only from extortion and forced levies and taxes, but also benefit significantly from criminal networks operating drug cartels and stealing Afghanistan's natural resources. Citing estimates, he said 60 per cent of the Taliban's revenues are from the drug trade and poppy cultivation is said to be the largest cash crop in Taliban-controlled areas. He expressed concern that while a Security Council resolution adopted earlier this year to extend the mandate of the United Nations Assistance Mission in Afghanistan (UNAMA) does focus on linkages between extremism, terrorism, drug production and illegal exploitation of natural resources of Afghanistan, it falls short of expectations in striving to cripple the Taliban's drug trade. The Secretary General's current report also fails to address this very key issue in an adequate matter, he said. He asserted that templates for curbing illicit trade by terrorist networks exist, saying that it is estimated that when targeted, the Islamic State's oil revenue fell over three years by nearly 90 per cent from a monthly high of USD 50 million to just USD 4 million. However by contrast, the opium produced in Taliban-controlled areas is estimated to account for 85 per cent of global illicit production, valued between USD 1.5 billion to USD 3 billion. "We feel it is time for this Council to try and replicate the success of the international community against the Islamic State's illicit business in Syria and Iraq by similarly crippling the Taliban's illicit drug trade," Akbaruddin said, adding that hopefully this important subject will be addressed by the Secretary General in his next report as well as by the Council. He said that during the past few months, the international community has followed with hope and anticipation the various peace efforts and overtures by the Government and people of Afghanistan towards bringing peace to their war-torn country. "All of us know and believe that there is no military solution to the issue," he said. 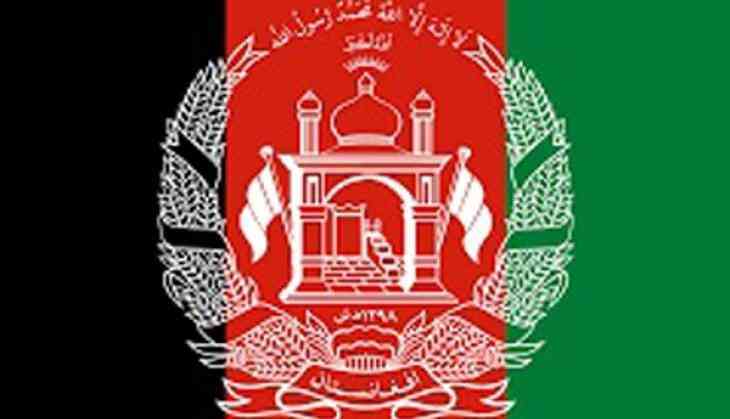 Akbaruddin, however, said that the Taliban have rejected the recent calls for a ceasefire by the Afghan Government and the civil society, including various religious leaders. "In fact, they have treated such overtures with growing disdain and have increased their offensive operations, as the country prepares for parliamentary elections, he said. He said India is willing to work with all countries in the region and beyond, keeping Afghan priorities at the forefront, so as to bring a lasting solution to the situation. "Afghans should lead these efforts, not only between governments, but with civil society and business as stakeholders. India stands ready to support Afghanistan in every way we can," he said adding that India's focus remains on the economic pillar of stability and reliable connectivity for the people of Afghanistan. "We strongly believe that the lack of connectivity directly impacts the economic, security and political situation in Afghanistan and we want to address this crucial issue for the benefit of the Afghan people," he said. With parliamentary elections one month away and a major ministerial conference planned for November in Geneva, United Nation's Special Representative for Afghanistan Tasamichi Yamamoto briefed the Security Council, noting that "preparations are on track" but that many challenges lie ahead, including increased security concerns. "It is a time for important decisions in Afghanistan," he said.